As many of you know, about six months ago, I began investing using Acorns. You can read about how I got started with that here: A New and Simple Way to Invest. Every Day. With Acorns & Roundups! Well, now that I’ve got that sorted out, and have gone from $0 to over $700 in less than six months, I’ve decided now to get started with cryptocurrencies. Although I won’t have the purchases in my account for 7 days, the purchase price is locked in based on the price when I purchased them. I had to pay a $1 fee for each transaction. 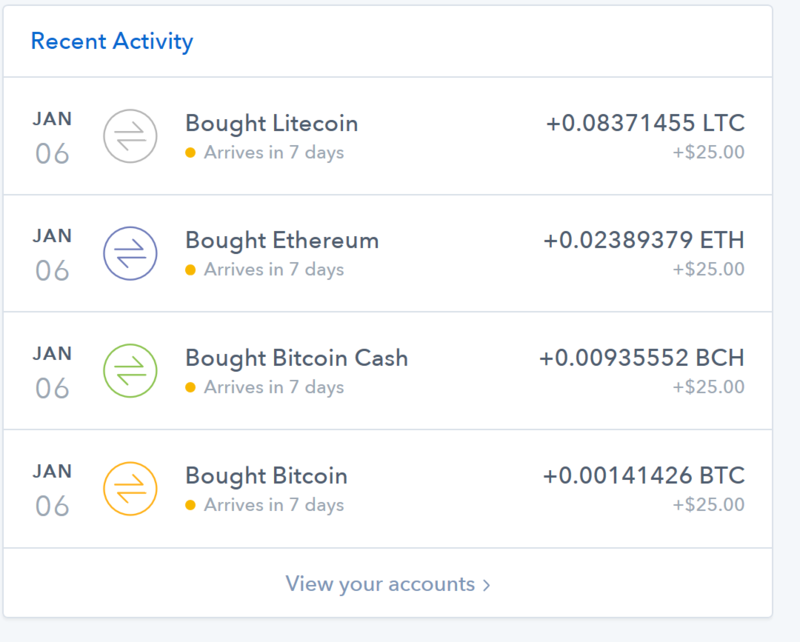 Whether that was worth it, I don’t know, but at least Coinbase has got me started as I learn more.